Motivate your cutomers to add more to their basket and spend more! While customers add products to their cart, they will be encoruaged to add more! Adjust promotions based on product and day of the week. "Did you know that customers shopping in offline stores are continuously motivated to spend more? Retailers do this with banners, signs and even the cashiers try to persuade customers to spend that little bit more." "If you spend another $5,- you will get a free t-shirt!" "Another $50,- and we will deliver it for free!" Do you want to know why shops are doing this? Because it works! 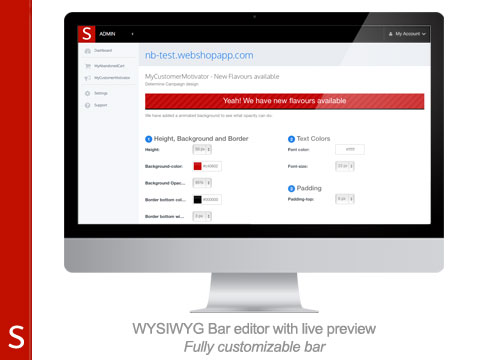 With MyCustomerMotivator you will be able to do exactly the same in your Lightspeed store. 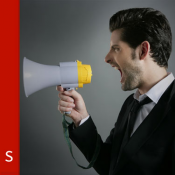 Start motivating your customers today and boost your sales with yet another Shappz app. Each time the customer puts a product in his or her cart and visits the cart, the customer will be motivated to spend more. For example, this could either be free shipping or a custom gift. 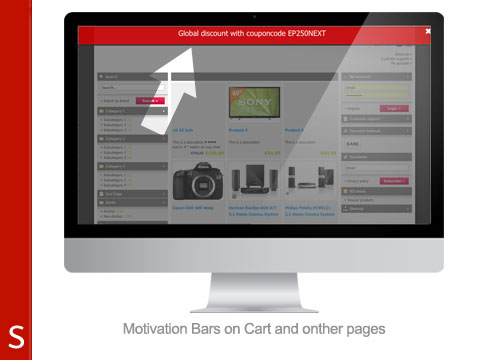 Regular motivations can be used throughout the entire website. These motivations can be limited to a specific amount per (hour/day/week/month). 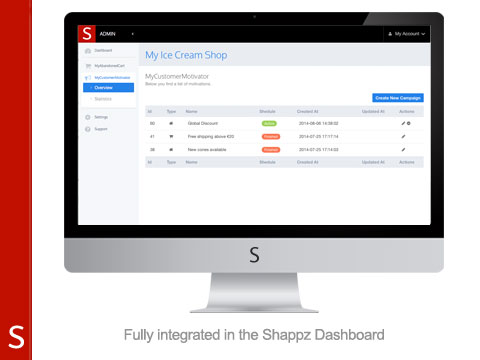 At Shappz we daily work on developing new and exciting Lightspeed Apps. As merchants ourselves, we know that a steady, yet increasing the flow of orders is a must. That is why we are committed to build Lightspeed Apps that have a big effect on your Lightspeed store at a relatively low price. Did you know that we are already serving over 2,000 SEOshop merchants? We are an open-minded company that is continuously searching for new ideas or improvements. No-reply doesn't exist in our opinion! Feel free to have a look at our website or contact us directly via [email protected].